One of the more hectic events I have had to cover. Even with an assistant/second shooter this was a day of nonstop action on a day when the temperature was probably closer to 40ºC. 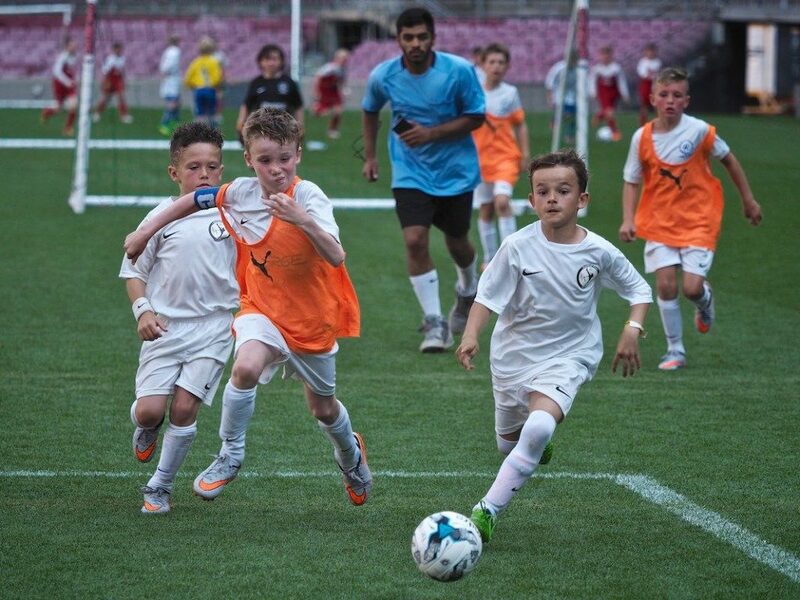 There were maybe 50 teams of kids from about 7 years up to 15, participating in The Europa Cup tournament. The pitch at Camp Nou was divided into 4 so that meant, at any one time, 8 teams were playing for 20 mins, the conditions were kind of punishing and boy do the parents take it seriously! The organisers had a challenge on their hands arriving here and having to deal with quite a lot of bureaucracy, as did we; half way through the event the officials for the stadium decided that we photographers could not walk on the grass, because obviously we were tearing up the turf in our soft-soled shoes; when you are confronted with such random logic you know no amount of reason will prevail, so best to just get on with it. All in all we were shooting for about 8 hours under a really intense sun and we had to scavenge water where ever we could, it’s fair to say the cab ride home was the nicest one I have taken in quite a while and the glass of wine I had when I got home were pure medicine.